We just launched a new website, parody of the classic Design Agency website. You can visit it here. Also we are working in the social networks of the characters, like the Yu Instagram or the Ruby Behance, for example. Showing cases that we are going to explore in different media that you are watching in the game. So that give us a question. Just 9 days more to support it on Kickstarter! Would you like to have extra content that can help you in the game, exploring media outside the game? Also we received a beautiful fan art by Aurelio cardenas creator of the game Realm, Walk of Souls. We love how he interpreted Yu. Our new reward is to design an item, the people who played the game, will notice that you can buy some random items to put in your desktop, it´s one of that items! Also as an alternative to the special credits we have the reward your name in the post it wall. We have 10 days left, and we know that we can reach the stretch goals of mobile, more languages and ps4 version with your help, so please spread the word with your friends! We are making some improvement in the UI of the demo and the frame rate, we hope to release it this week! 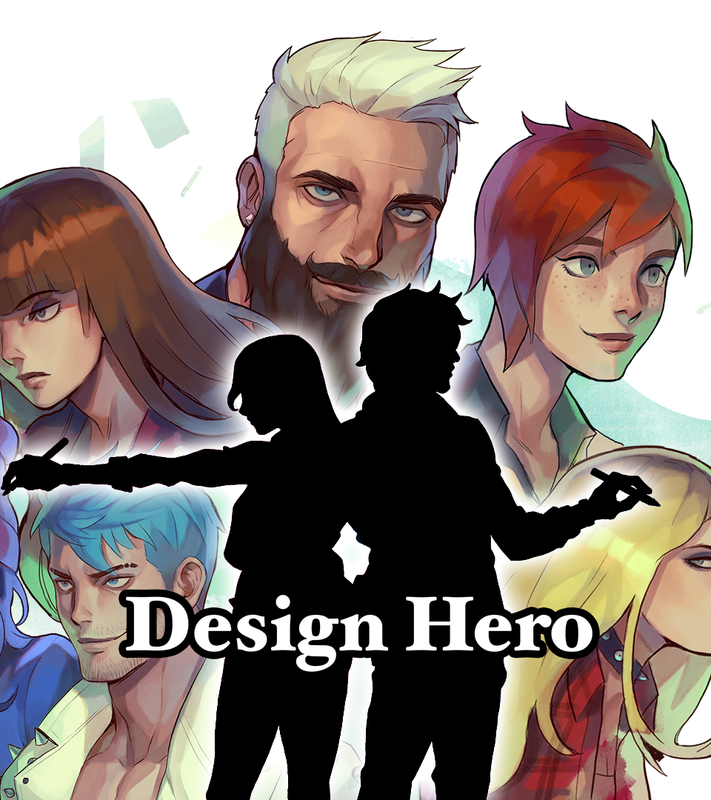 Thank you for your help, for making this possible Design Heroes!